I avoid wearing bright lipsticks at day time. I prefer light or sheer lip glosses with my casual outfits. 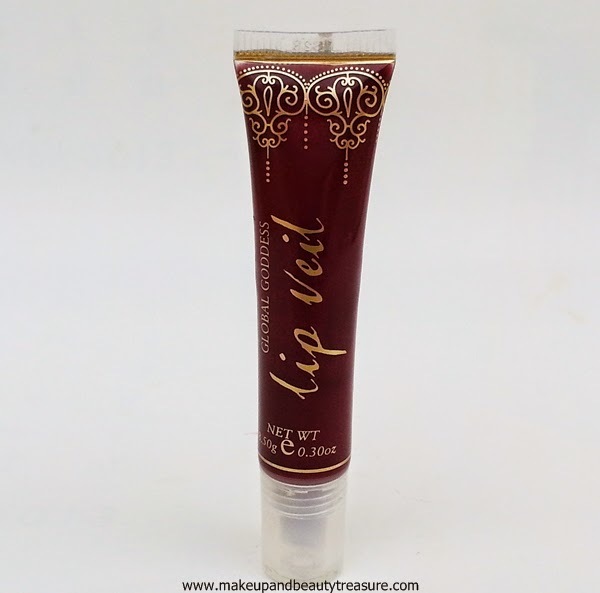 I have a soft corner for lip glosses and Global Goddess Lip Veil has become a staple product in my morning makeup routine. It is a natural lip gloss which is very moisturizing. Today I am going to review Global Goddess Lip Veil in Marrakech. 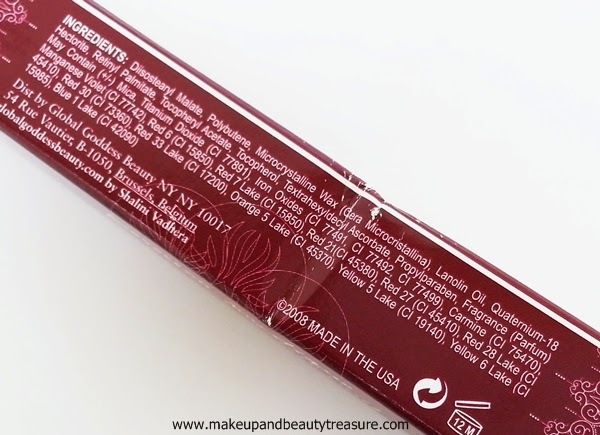 Global Goddess Lip Veil comes in a dark maroon cardboard box packaging with all the information written over it. The actual product comes in a sturdy, sleek, squeezable, clear plastic tube with a semi opaque screw top lid. It has a slanted tip that allows easy application of the lip gloss. You only need to squeeze it lightly to get the product out of the hole. The packaging is glamorous and sophisticated. It is quite light and can be easily carried around in a makeup bag without any fuss. It does not have any weird taste or scent unlike few other lip glosses. 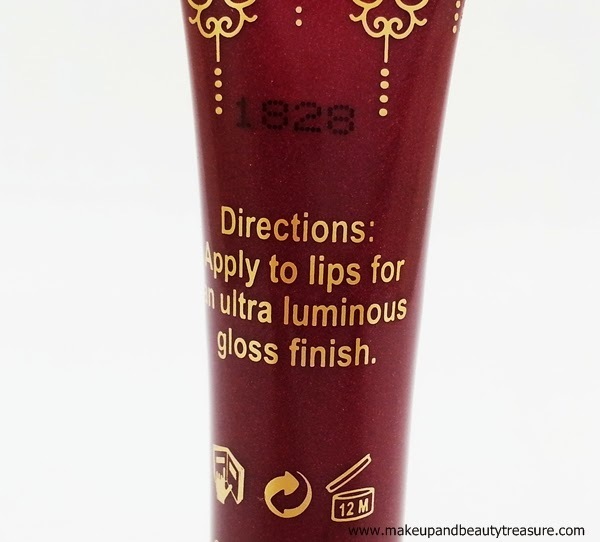 The formula of the lip gloss is soft and creamy. It does not have sticky or gloopy texture as most of lip glosses have. The lip gloss glides smoothly onto my lips without smudging or bleeding. It applies easily around the edges of the lips too. It is very moisturizing and I do not feel the need to use a separate lip balm underneath it. My lips feel soft, smooth and moisturized. However the pigmentation is sheer. It can be worn alone for everyday lips or over a lipstick for a glossy and glamorous look. The lip gloss gives a pretty glossy finish to my lips which looks natural and lovely. The staying power is pretty good according to the sheerness of the lip gloss. It stays put on my lips for a good 4-5 hours with light meals in between. It does not vanish away completely with full meals and leaves a beautiful tint behind. It feels comfortable and light on my lips and is not heavy or sticky. My hair does not get stuck to the lip gloss when the breeze blows as it does not have sticky or gloopy formula. It is quite moisturizing and my lips do not feel dry and sore at the end of the day. Marrakech is a lovely soft mauvish pink color with very fine golden shimmers. The shimmers are very fine and are hardly noticeable on lips. The lip gloss looks quite sheer with a hint of mauvish pink. It looks pretty when paired with smokey look or when you want neutral natural lips. It is a great color for office or everyday wear. It brightens up my face and looks neat. It imparts a pretty glossy finish that I absolutely adore. 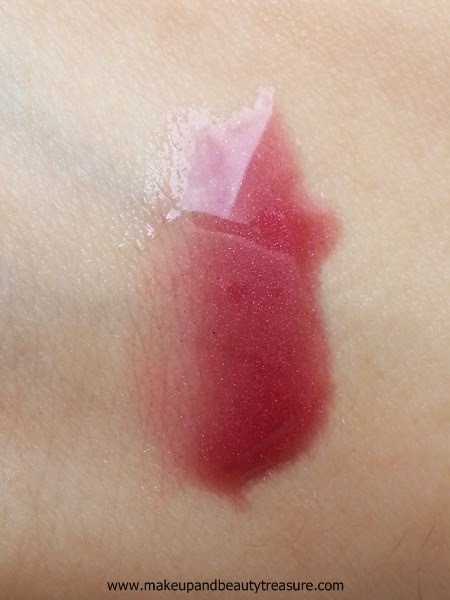 It is quite sheer but I love wearing it on its own as I have lightly pigmented lips. If you have heavily pigmented lips then I would recommend wearing it on top of lipstick. It would look awesome on all skin tones. Okay if you are wondering what is Marrakech then it is a major city in Morocco. • No scent or taste. • Perfect shade for everyday wear. 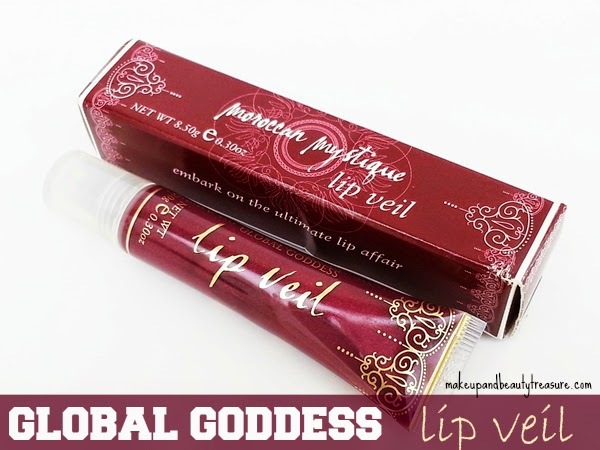 Global Goddess Lip Veil is one of the best everyday wear lip glosses I have used. It not only feels light but looks natural on lips. It gives a lovely sheen to my lips and keeps them moisturized in this chilly weather. 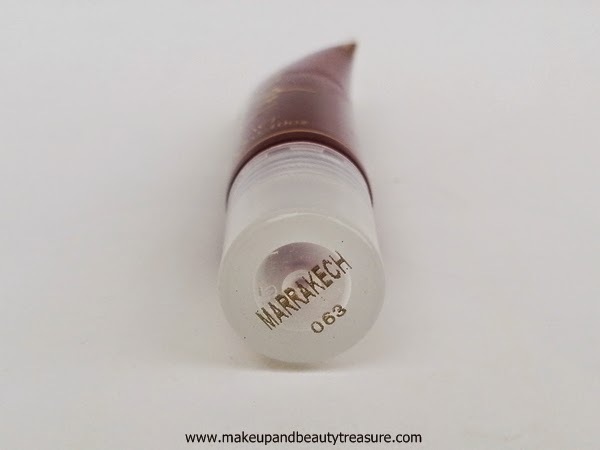 Marrakech is a super pretty natural mauvish pink color that looks natural yet glam on lips. I would definitely recommend it to everyone! 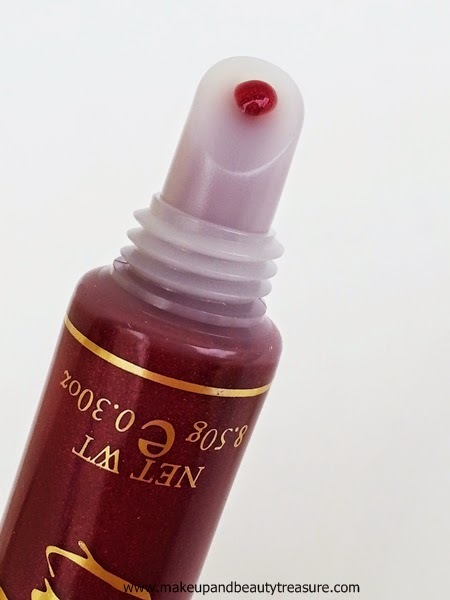 Have you tried Global Goddess Lip Veil? How was your experience? Share in the comments section below! That is such a lovely shade... looks so juicy bt sadly unavailable ! !